Google My Business is cracking down on locksmith spam business pages and the screws are tightening. 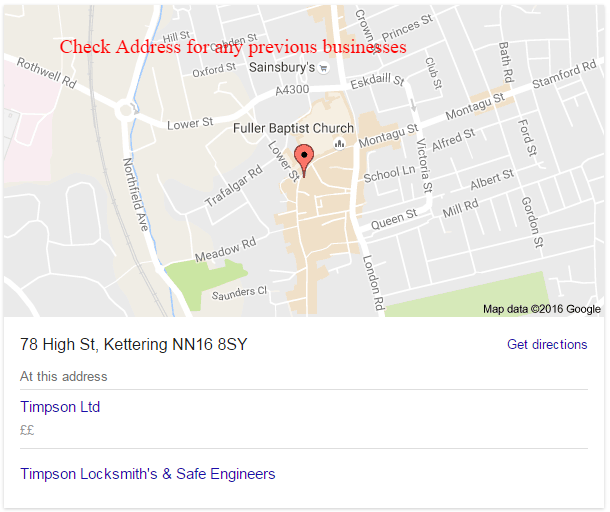 We have seen a dramatic reduction of locksmiths pages appearing in Map listings, great for users and legitimate local businesses, but there are increasing cases of innocent locksmiths having their account suspended for spammy behavior. There are a wide range of reasons why Google My Business will suspend a business page, a lot of these suspensions are algorithmic. Algorithms work on data, if your business info does not align, then you stand a higher percentage of being suspended. Chances are you are reading this after a suspension, but if you are a new Locksmith or have a locksmith client then prevention is better then suspension. The business address is probably the single biggest criteria and how you set your page. If you work from home, then your page settings should be set as a Serviced Area Business ( SAB ) make sure you check the box “I serve customers at their location”. I have dealt with a very rare case of a new development address being the trigger for a suspension because it was not recognized. Residential addresses take time to build in the online data world, but pictures say a thousand words, especially to the Google business support team. Download Google+ app onto your phone, take a selection of images, street, houses and post onto your Google+, making sure its Public. In no time your images that are Geo tagged will be appearing in street view, showing the development actually exists. Very few suspended listings are shop front businesses. If you are a new shop front business then check the address for any listed businesses at that address. Search the address in regular search and Google maps, mark any old businesses at that address as Permanently Closed. If the name has changed and you have new signage, take some pictures with your mobile phone and post to public on Google+ with the Google+ app. The majority of suspensions occur because the business owner has used an address that is listed as virtual office, steer well clear of these as they are against guidelines. Its better to use your home address and mark the business as SAB. This also includes normal office buildings, suite 300 on the 30th floor is a very unusual place for a locksmith business, especially when your Google business page has your hours listed as 24hrs. Remember if you are listed as open 24hrs, then a customer should be able to make in person contact during stated business hours. If your business happens to be on the 30th floor, then so be it, just be prepared to prove it. Consistent name, address and telephone number across the web is not a precursor to a suspension, but inconsistencies will not help your re-inclusion request. 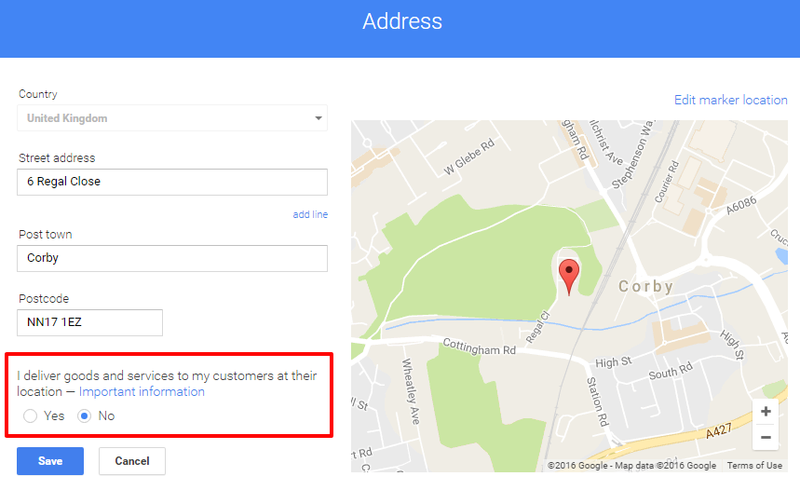 If you have changed addresses in the past, be sure you follow up and correct all sites that have an old businesses details. If you are an aged business and did not stick rigidly to your NAP details then chances are that Annabot ( Google’s Map Bot ) created a duplicate page for your business, these are sure suspension signals. Thankfully Google stopped auto generating business pages back in Nov 2015. Inconsistent NAP details is also one of the largest ranking killers of Google Map listings, so be sure to keep it consistent. Make sure that your businesses name and address matches your business registration. Make it especially easy for Google to verify these details by linking to the Secretary of State details directly from your site. If you have changed your websites domain or changed a local business landing page in the website, make sure you update the URL in your business pages details. I have not specifically seen a suspension because of a redirect, but with Google tightening the screws on locksmith pages daily, you don’t want to provide any excuses. I have personally not come across a single locksmith business that has been suspended for spam that was registered with BBB. BBB has a set of requirements similar to Google to prove legitimacy. Google also allows BBB reviews to be added to AdWords campaigns via Extensions. So if you are eligible for BBB, I don’t see a suspension in your future. For the love of all things Locksmith, please use your registered business name and that’s it. Yes I know how frustrating it can be when seemingly spammy named businesses appear above you, but remember your Secretary of State registration name, NAP consistency. Any business can build up there reputation and authority online over time. If you update your business information, then make sure your business information on your website matches the details. If I had a £1 for every time I see incorrect business details between website, Google business page and registered business details, I could take a luxury cruise. Multi location locksmiths need to pay attention to business details represented in their DBA, website / s and your WHOIS information. List all your details correctly and make it easy for Google to find and confirm the information. Present clear, consistent and verifiable information not only for Google but to ever increasingly savvy consumers. If you are struggling with a suspended business page, then I suggest posting on the Google My Business help forum, so a Google TC can take a look and offer advice or escalate to Google.